KIDS for the BAY’s environmental education staff LOVES leading our Summer Camp! Our Camp Leaders are year-round KIDS for the BAY staff members who teach our school-based programs in local elementary schools, lead nature-based field trips and train classroom teachers during the school year. Additional Camp Leaders also join us each summer. 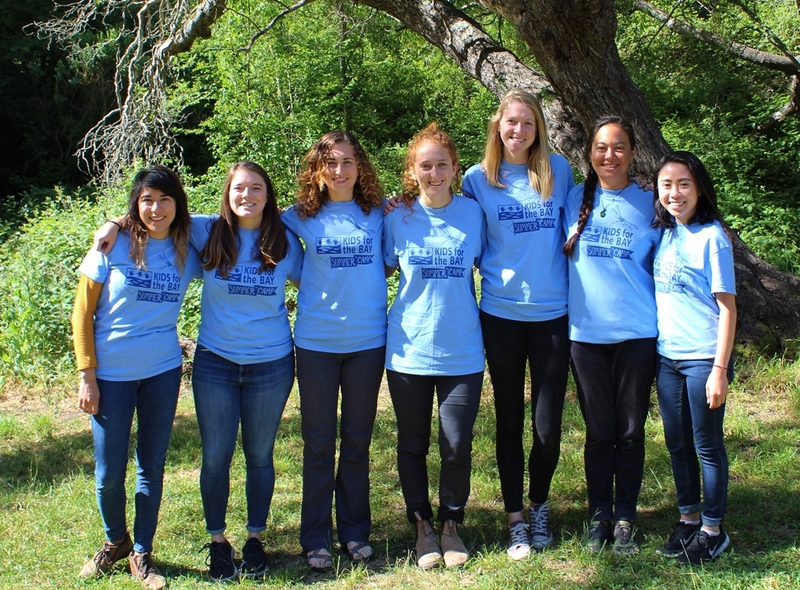 KIDS for the BAY’s Camp Leaders are all college graduates and have multiple years of experience teaching environmental education in various settings. We also hire several Summer Camp Assistant Leaders each summer. Please click here for current positions open. The summer months provide the opportunity for KIDS for the BAY staff to do what they love the most — be in the outdoors with campers! Please read below to learn about each of our amazing Camp Staff members and to find out why they love what they do. Marianne is passionate about environmental education and exploration. 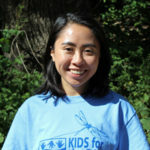 She is excited to lead the KIDS for the BAY program staff team and to manage and teach our Watershed Action Program. Marianne previously worked for NatureBridge at the Golden Gate Campus. She was born and raised in New Hampshire and received her B.S. Degree in Environmental Anthropology from Keene State College. After graduating, Marianne spent a year in France working with children and studying the French language. She returned to the U.S. to work for “e” inc., an environmental education center in Boston. 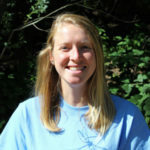 Marianne has also lived and worked in Arizona as a Camp Educator for the Arboretum of Flagstaff and as a Crew Leader for American Conservation Experience. Valerie has always enjoyed working with children, especially teaching them about the environment. She is passionate about keeping our planet healthy and believes that this begins with awareness and education. 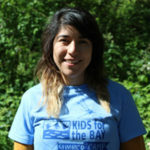 Valerie is excited to be the KIDS for the BAY Summer Camp Manager and to manage and teach our Programs for Schools. Born and raised in San Diego, Valerie has a love for the ocean and all of the creatures in it. She received her B.S. Degree in Conservation Resource Studies with an Oceanography focus from University of California, Berkeley. As a student, Valerie interned with KIDS for the BAY in our Programs for Schools and spent two summers working as a Camp Leader in our Summer Camp. Valerie has also worked with the Surfrider Foundation, International Marine Mammal Project, and Lawrence Hall of Science. Cynthia loves teaching children and encouraging them to think critically about science and the environment. At KIDS for the BAY she manages our Storm Drain Rangers, Watershed Rangers and Field Trip programs and teaches our Programs for Schools and our Summer Camp. Cynthia has previously taught environmental education in school gardens and in woodland habitats. She has also worked for a water district to complete scientific watershed surveys. Cynthia has a Bachelor’s Degree in Environmental Studies from University of California, Riverside and is currently completing her Master’s Degree Thesis in Regenerative Studies at California State Polytechnic University, Pomona. Cynthia is bilingual in Spanish and English. 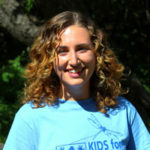 Haley is excited to teach KIDS for the BAY programs both in the classroom and outside in nature and to coordinate our Schoolwide Science and Environmental Action Program. Haley has a Bachelor of Science Degree in Biology from the University of Redlands, California, and two years of experience working in environmental education, as a teacher and naturalist at the Aquarium of the Bay, and as a naturalist on the San Diego Whale Watch boat. Jacqueline has four years of experience teaching students various science subjects at Saturday Science Academy II in Los Angeles and Citizen Schools in Oakland. 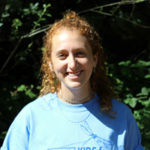 She is passionate about science and education, and is excited to be able to join the two together as a Camp Leader. Jacqueline graduated from University of California, Los Angeles with a Bachelor of Science degree in Anthropology and a minor in Education. Corey was born and raised in the Bay Area and she is passionate about the environment and about being outdoors. 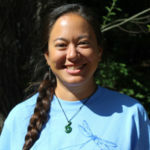 She enjoys teaching about nature and helping others develop a deeper connection with the natural world. After earning her Bachelor’s Degree in Environmental Studies from UC Santa Cruz Corey taught hands-on marine science and ecology throughout California, while taking children hiking, snorkeling, and kayaking. Going back to school for her teaching credential she spent two years in the classroom teaching Life Science, Marine Biology, and Biology at the high school level. Corey has spent the last few years traveling in the United States and abroad to places including the Galapagos, New Zealand, and Cambodia. She is also certified to teach yoga and mindfulness and is training to become a forest therapy guide. 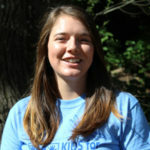 McKenna is thrilled to be joining KIDS for the BAY as a Camp Assistant Leader this summer. She is currently earning a B.S. degree in Environmental Studies at the University of Vermont, and is excited to merge her love for the outdoors and the environment with her passion for education. A student of the environment herself, she is looking forward to sharing what she has learned through her studies and to continuing to learn and grow as an outdoor educator. McKenna believes that access to outdoor spaces and an introduction to the wonders of science are incredibly important in fostering a greater sense of environmental stewardship to protect the beautiful places in which we play. McKenna is a hiking leader for the University of Vermont’s Outing Club, an editor and writer for the environmental magazine on campus, and loves to spend her time biking, trail running, and skiing when she’s not in the classroom.